MARCOM's "Forklift/Powered Industrial Truck Safety" Compliance Manual has been created specifically to help facilities comply with OSHA's Powered Industrial Truck Standard (29 CFR 1910.178). 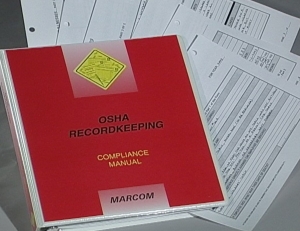 The manual reviews the regulation and compliance requirements, and contains a complete "fill-in-the-blank" written plan. By filling in the blanks, any facility can create a complete written program that will meet the Standard's compliance requirements.